MODEL : The very last DS 21 Cabriolet Usine with electronic injection build by Henri CHAPRON as a result of a private commission. 2175cc engine, 139 bhp at 5500 rpm. 5 gears. All tyres are 185/15. 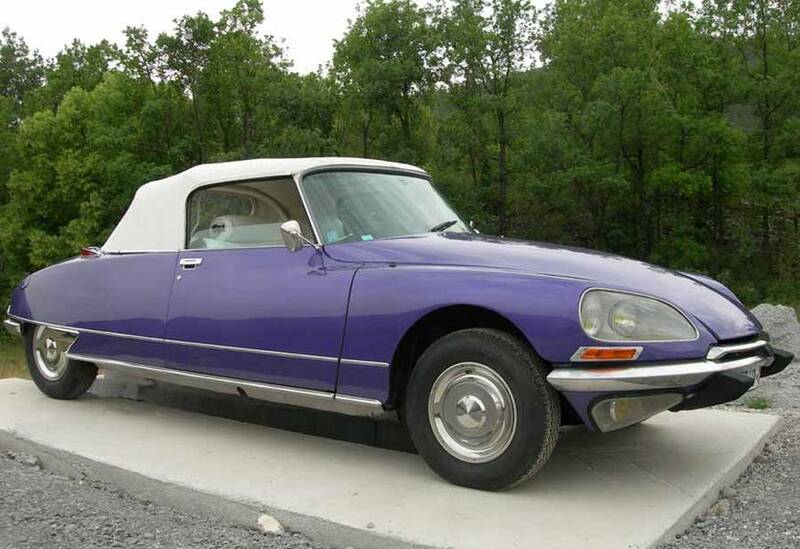 The "Usine" Cabriolet was deleted from the catalogue at the end of the 71 model year. On the 15th of March 1972 , Miss Genot from Nanterre ordered this vehicle directly from the CHAPRON workshop. And so, CHAPRON bought in a new saloon from CITROEN in order to transform it. She got it back the 7th of July 1973. All this information has been given to me by the widow of H.CHAPRON, who still owns the documents. She remembers this DS because of its special colour. The owner ordered it from H. CHAPRON with all the available options (except hard-top and air-con): extra lamps, electric tinted windows, imitation painted dashboard, mini-bar, Chapron headrest, radio with electrical antenna and above all the electrically-operated imitation leather hood. 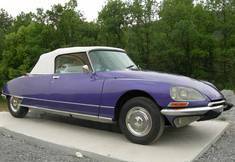 The options cost 9320 francs.vFor comparison, a D Special cost 15928 francs in January 1972.